How profitable is your pharmacy? This is an updated version of John Sheridans article originally published in 2005. Since then some practices in the UK have reduced their charges for some pharmaceutical products in an effort to match prices which appear to be available on the internet and at other low cost dispensaries. This article recommends that practice owners and managers take time to evaluate the potential adverse impact of such a policy on profits before making any such decision. Before you feel pressured into making significant reductions in your charges for medicines and other products, it might be appropriate to ask yourself – how profitable is the product sales side of my practice and how would that margin be affected if I were to cut some of my prices? Much of the political debate about the economics of veterinary practice in the UK during recent years has revolved around the assumption that veterinary practices consistently undercharge for their professional services but that charges for professional products have somehow been excessive to allow practices to subsidise the cost of professional services. As a result the practising arm of the veterinary profession has seen the emergence of two distinct disease entities which may exist worldwide but which seem to be endemic and particularly troublesome amongst veterinarians in the UK. I refer of course to ‘Pheesophobia’, a particularly worrying syndrome which is commonly observed amongst young graduates but which can persist in a number of cases amongst experienced practice owners. It appears to start with a subconscious feeling of self doubt and a conviction that the less you charge your clients the more they will love you. The issue of charging for professional services and establishing a soundly based fee schedule is covered elsewhere in Veterinary Business Briefing. For now let’s concentrate on the business of selling pharmaceutical and other medical products to your clients where, in your professional opinion, they are appropriate as part of a comprehensive programme of preventative medicine, wellness maintenance and/or investigation, diagnosis and treatment of ill health. An unpublished study of a number of small animal practices last year indicated that revenue derived from the sale of medicines, consumables, dressings and other products accounted for 38% of revenue and that the net costs of the products sold represented 29% of turnover. These numbers suggest a gross margin of (38-29)/38 = 24%. Maintaining a practice pharmacy however implies significant overhead and staff costs in ordering, checking, storing and dispensing products and the inevitable spillage, spoilage, wastage and pilferage which can occur in the best regulated businesses. Let’s assume that say 10% of the support staff costs and 10% of the establishment and overhead costs are necessary to maintain and manage your pharmacy. If the total costs of support staff, establishment and overheads amount to say 40% of turnover then the net margin achieved by a department responsible for almost one third of your business is (38-29-4)/38 = 13%. Do the sums for your own practice. Unless you are satisfied that the net margin achieved by your pharmacy is at least 15% of sales, then it might be sensible to review your mark-up strategy for specific products or product groups upwards rather than downwards, as part of your overall marketing strategy. The stock in your pharmacy/store will include a wide range of products. Some are specific pharmaceutical and medical products and supplies which will be used in the consulting room or treatment areas by the consulting veterinarian or nurse as part of the overall treatment programme for a specific patient. Some will be supplied or dispensed to clients for use at home. Some will be consumable items which can readily be charged out to specific in-patients and some will be general consumables such as disinfectant, surgical scrubs, suture material, cotton wool and dressings where it is less easy to link specific product items and specific patients for accounting purposes. In addition there will always be a degree of spillage, spoilage, wastage and other loss and your charges will need to take account of products lost in such ways. You may decide to apply an overall markup of say 100% in order to achieve a gross margin of 50% but this will be made up of some items, such as food products, with a low markup, high volume and very high stock turnover levels. The argument for recommending such products is generally high volume and repeat business but there is no doubt that they also incur high storage, display and staff costs. 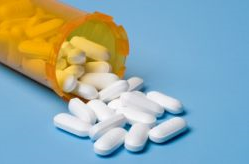 At the other extreme will be some prescription only medicines which must be available for emergency use but which are used rarely and which will require a markup of 300% or more. The costs of some items will need to be covered by the charges for the specific medical, surgical or diagnostic procedures in which they are used and charges for products which are dispensed as part of a treatment programme are likely to be marked up at 100% or more. You will also need to be aware of local market pressures and the cost sensitivity for some items which can be purchased from other local suppliers and for repeat supplies of high priced items for some patients on long term medication. You will need to establish policies for charging for prescriptions, dispensing fees and systems for pricing some procedures such as routine injections in which part of the revenue may be described as a professional procedure and part described as a product sale. Establish targets designed to grow the top line, maximise revenues from professional services and grow the income from product sales in financial terms but reduce them as a proportion of the total. Be aware of the potential for theft by staff, clients and other visitors to the practice and put in place policies designed to prevent it. Always base your charges on the 90% of clients who are prepared to pay your charges because they represent value for money. Never base your charges to satisfy the 10% of clients who complain. You may even be tempted to increase your charges for them to cover the aggravation factor. Remember that your strategy for pricing products and professional services is simply one component of your overall marketing strategy. Veterinarians do take an oath ‘that my constant endeavour will be to ensure the welfare of animals committed to my care’. That is why veterinarians in practice spend their whole working life practising rather than preaching animal welfare. Veterinarians do not however, take an oath of poverty. Your overall objective should not be to keep the costs down for your clients but to ensure that a critical component of your business is profitable and plays its part in contributing to the overall financial viability of your practice. When I read about the profitability of some pharmaceutical companies with returns on shareholders equity approaching 50% p.a., banks which borrow money at under 5% per year and lend to cardholders at rates of up to 25% APR and high street opticians marking up spectacle frames at more than 1,000%, I am even more convinced that veterinarians should be proud of the services and the value for money that they offer.